On April 24, 2017, 6 Degrees co-presented 6 Degrees Vancouver: Are You Home? in partnership with SFU Public Square, SFU International and Vancity. For full coverage of the 360s, Feeling at Home, and Being at Home, visit our YouTube page. In what felt like our most theatrical and intimate setting yet, a full house packed into a darkened room illuminating the bright round 6 Degrees stage in the centre. 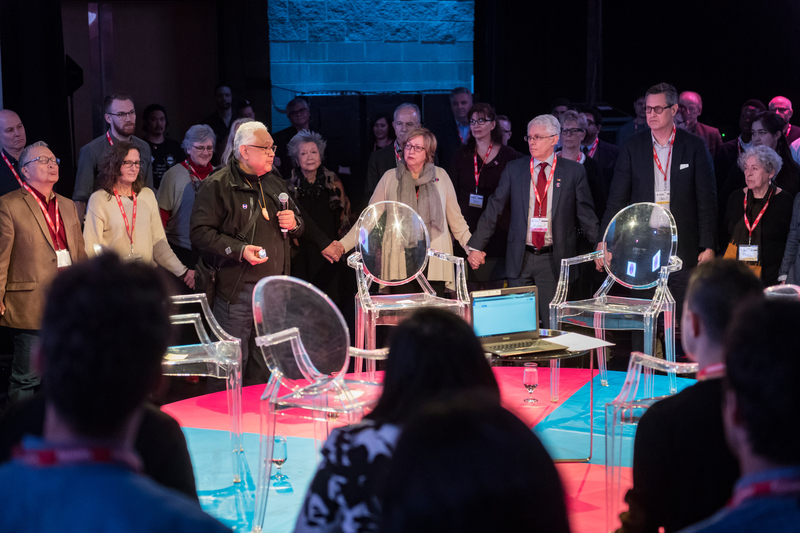 Shane Pointe of the Musqueam First Nation began the morning by welcoming attendees and, in a 6 Degrees first, asking audience members to get cozy and hold hands. 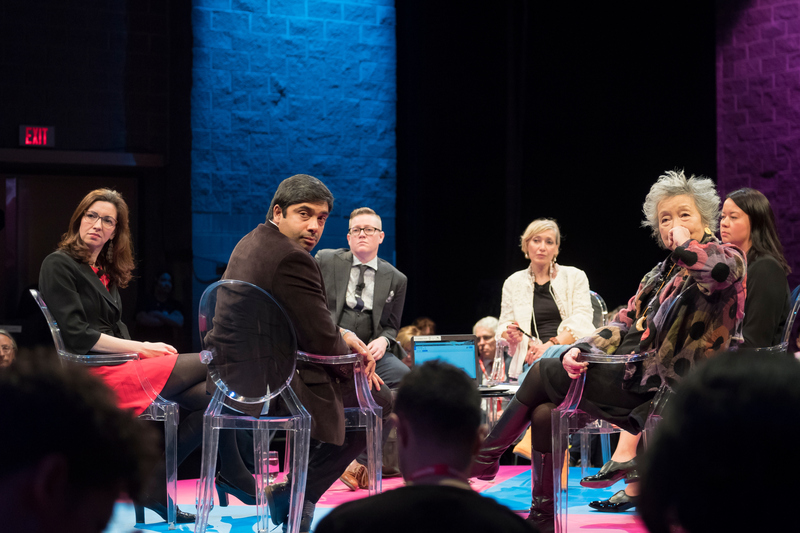 The first 360 of the day, Feeling At Home, was moderated by Adrienne Clarkson, in conversation with Natalie Chapdelaine, Ivan E Coyote, Nelofer Pazira, Sirish Rao and Ginger Gosnell-Myers. The conversation centred on the intangibles of how one feels they truly belong in the place that they live. 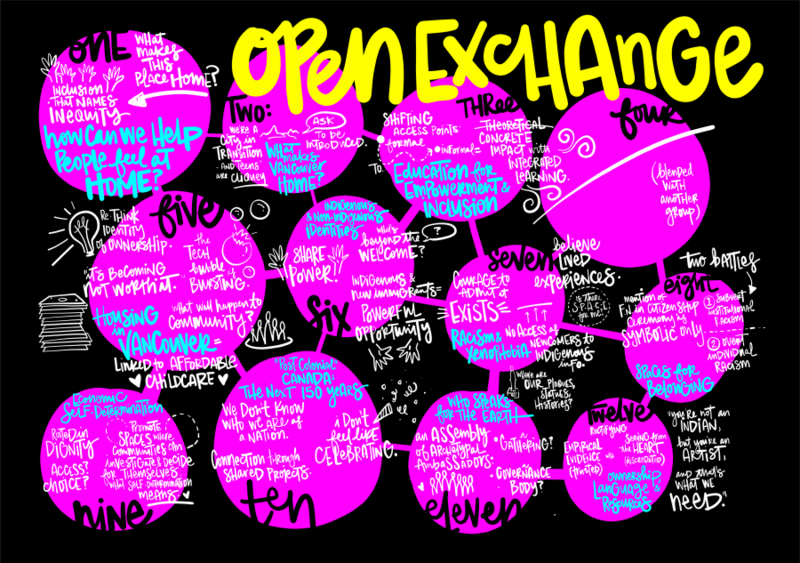 Next it was time for Open Exchanges, where the audience could themselves engage in more dialogue with other guests, panelists and organizers on topics that were the most interesting or personal to them (some of which were organized on the fly by audience members). 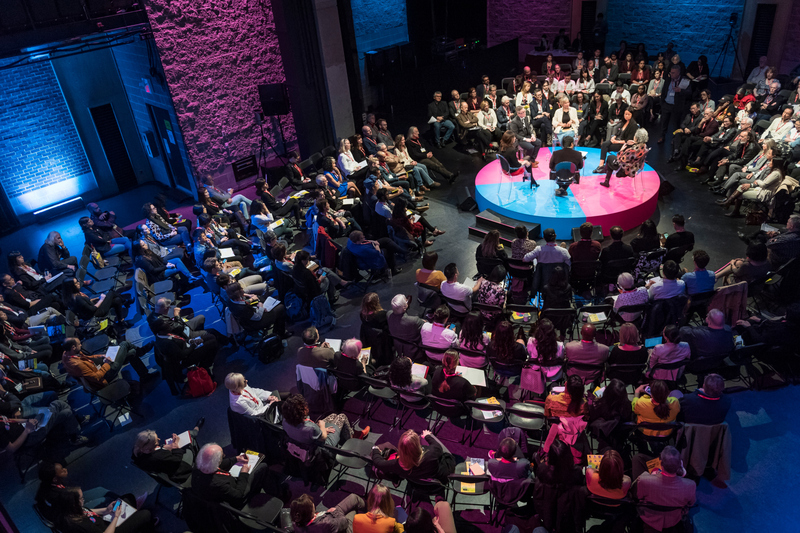 Our second 360 of the day, Being At Home, was moderated by John Ralston Saul and featured Mohammed Alsaleh, David Arnot, Rima Berns-McGown, Nadine Caron and Max FineDay. 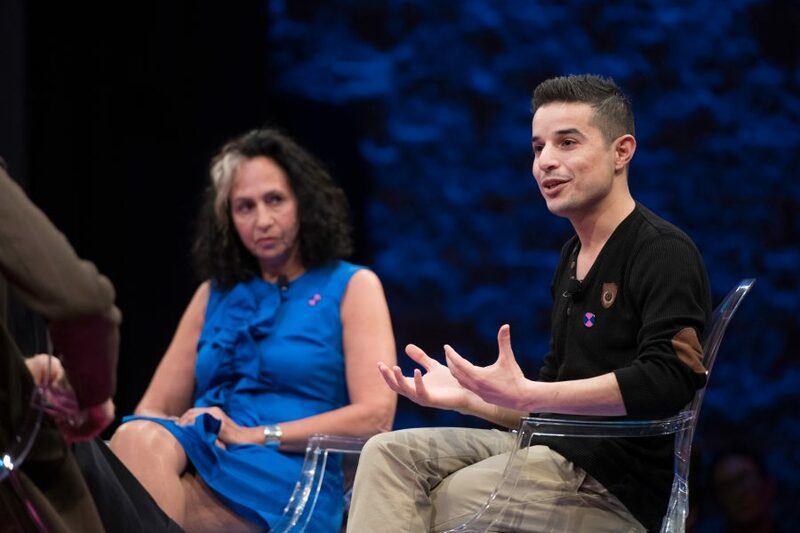 The panel and guests discussed how institutions and systems aid or inhibit the work of creating inclusive societies. Our final hour, the Open Forum, saw the day’s designated “witnesses” and unofficial audience witnesses weigh in on what they took from the day and where to go from here. We were fortunate to have live artist Corrina Keeling recording and visualizing the concepts explored. 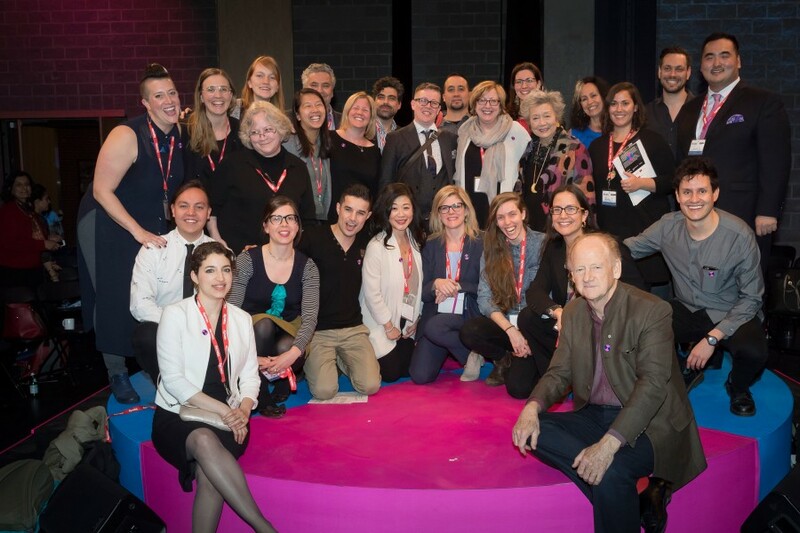 6 Degrees is grateful to our partners, the numerous volunteers who helped guide visitors, and our amazing supporters, some of who traveled from Toronto after experiencing last year’s inaugural 6 Degrees Citizen Space. For full programming details, visit 6 Degrees Vancouver. 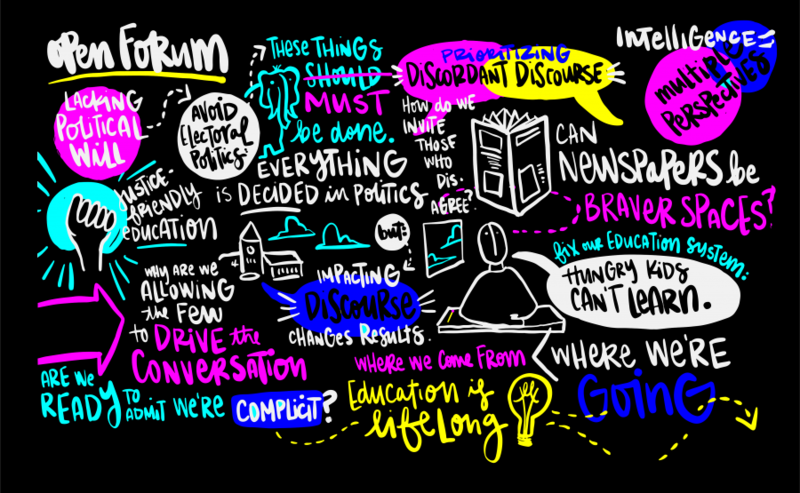 And don’t miss our annual 6 Degrees Citizen Space in Toronto, Sept. 25-27, 2017. For more full photo gallery, visit our Facebook photo album. For footage of the 360s, visit our YouTube page.